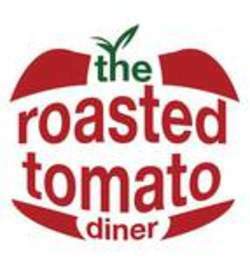 Gather at the Roasted Tomato for great food and outstanding service. Check out the completely redesigned interior of this group and family-friendly restaurant. Enjoy daily specials and friendly service. Menu items include appetizers and bar fare, burgers and sandwiches, kids' specialties and sweet treats. Hours: Hours of operation: Continental Breakfast Monday through Friday from 7:00 am to 10:00 am; Breakfast Buffet Saturday from 7:00 am to 11:00 and on Sunday from 7:00 am to 11:30 am. Lunch daily from 11:00 am to 2:00 pm. Dinner (Summer Hours) are Monday through Saturday 5:00 pm to 10:00 pm and Sunday 5:00 pm to 9:00 pm; Dinner (Winter Hours) are Sunday through Thursday 4:00 pm to 9:00 pm; Friday and Saturday from 5:00 pm to 10:00 pm. Holidays are 12:00 pm to 5:00 pm.